Remember you found this company at Infoisinfo 020 3375 857? London Roof Clean are the capitals leading exterior all cleaning and property maintenance service. We provide a wide range of services for both residential and commercial properties in London, Greater London and the surrounding counties.London Roof Clean prides itself on it's Premier service at competitive prices. We have team of service technicians that cover all London and Greater London postal codes. Our friendly and knowledgeable team of service technicians are fully trained and insured, therefore you can rest assured that your property is safe in our hands. London Roof Clean use a wide range of equipment to carry out works on all types of properties including ladders, scaffolding, fall arrest and man anchor systems, safety harnesses and mobile booms (Cherry Pickers). 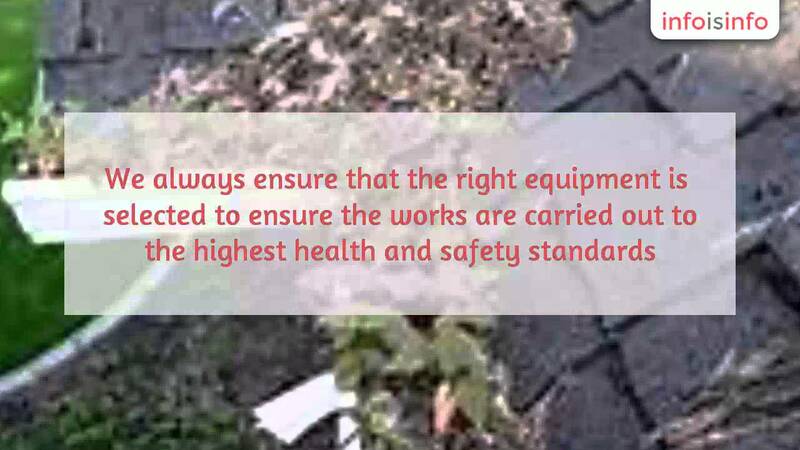 We always ensure that the right equipment is selected to ensure the works are carried out to the highest health and safety standards. All work is carried out in line with our risk assessments and method statements which can be supplied on request.